Oh I wished I’d asked. I would have loved to have known a little about the history of my forebear’s. And after all what more interesting way is there to trace local town or boroughs history than through ones own relatives. Well over the years I did just that! So here we go. 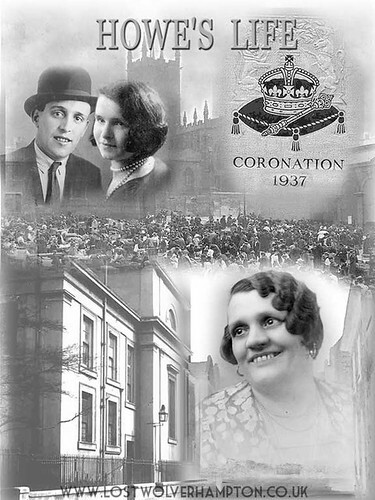 Although my birth was the cause of some celebration on the 23rd of May in our house, the big event of the year that saw the town profusely decorated for the occasion, had taken place eleven days earlier with the Coronation of George VI. And whilst mom was in labour on the 21st and 22nd of that month, the people of Codsall were also having a bit of a traumatic time as the result of a Bear escaping on its way to the newly opened Dudley Zoo. Most mothers had their children at home in those days it was only if there were probable complications that the birth took place in the local hospitals. 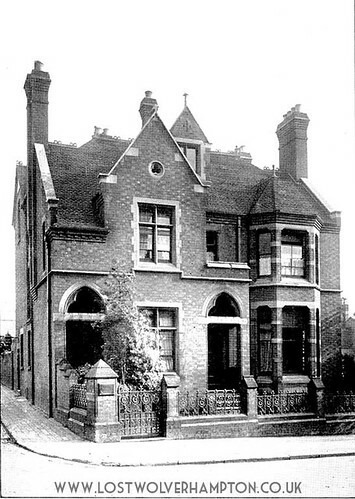 For one reason or another my arrival took place here at No.2 Bath Road it being a Royal Hospital Annexe situated in a block in-between Clarence Road and Birch Street. Dad was over the moon when I arrived he was now 31yrs old- a definite late starter and now his first child, a son, was born and on the top of this, the day he came to fetch mom and I out of the Nursing Home in Bath Road, Mid-day-Sun won the Derby and he had backed the winner! One winner out of two events can’t be bad, can it? On the 10th of October 1937, my proud father and mother took the short journey from their home in Nursery Street, along North Street then across the square into Dudley Street to Jerome’s the photographer’s, whose entrance was next door to the “Dudley Arms” Public house now (Maplins). I was five months old when this photograph was taken, lying peacefully in a romper suit specially knitted for the special occasion by my fathers elder sister Kate. A couple of other notable events that occurred in 1937, I can remember recalled by my mother. She told me that in the early morning of July 9th there was an Earth Tremor in the Midlands, and she remembered my cot moving swiftly from one side of the bedroom to the other – across the lino. 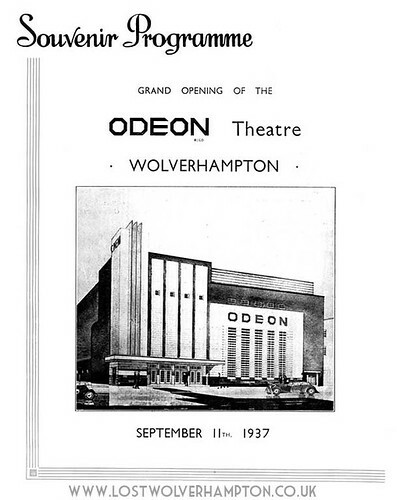 The Odeon Cinema in Skinner was one of three picture palaces that opened in Town in 1937 the others being The Savoy Garrick Street and the Penn Cinema Warstones Road. So here we go I’m up and running, and, thank God still going. Thank you Mom and Dad for that, and again thanks for the memories. 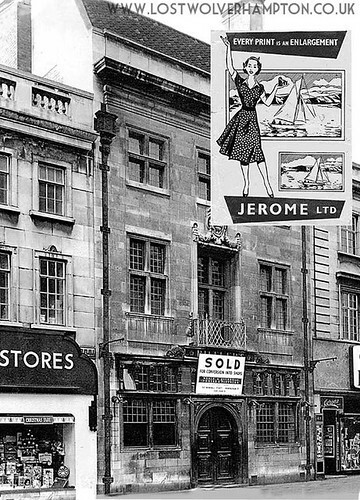 I actually remember Jaromes, the photographers, they must have been still around when I was a kid in the 50s. I also remember my parents telling me that everyone had their photos taken there at one time. Yes. 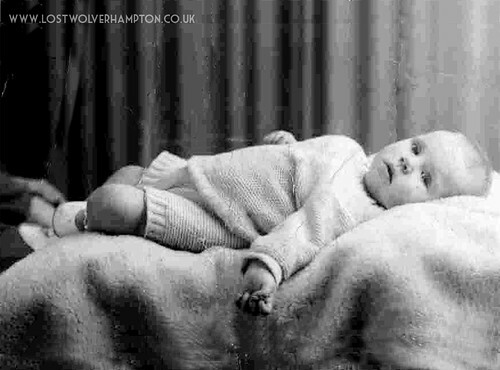 it was part of early life in Wolverhampton to be photographed at “Jerome’s” in Dudley Street. The must have opened in the 1940’s Emmie, and they were still above the Dolcis in the mid 1960’s.